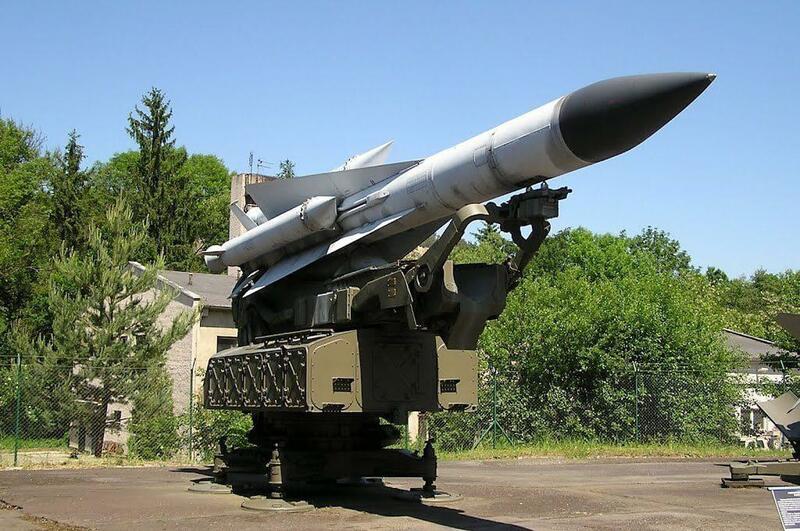 The S-200 is the old SSSR made SAM (surface-to-air missile) system designed in the early 1960s to defend large areas from bomber attack or other strategic aircraft. Today, this very long range, medium-to-high altitude SAM system is also used to intercept various ballistic and cruise missiles with some slight improvements to the hardware and software. The S-200, fully named as NPO Almaz S-200 Angara/Vega/Dubna (Russian Ангара\Вега\Дубна), NATO reporting name SA-5 Gammon (initially Tallinn) is usually deployed inside AA battalions. Each battalion has 6 single-rail missile launchers for the 10.8 m (35 ft) long missiles and a fire control radar. It can be linked to other, longer-range radar systems. In fact, the S-200 surface-to-air missile (SAM) system was designed for the defense of the most important administrative, industrial and military installations from all types of air attack. It provides defeat of modern and advanced aircraft, including air command and control centers, AWACS aircraft, aircraft jamming creation and other manned and unmanned aerial vehicles. The S-200 is an all-weather system that can be operated in various climatic conditions and in all other circumstances. By 1966, the S-200 was officially accepted into service in order to replace the failed anti-ballistic missile RZ-25/5V11 “Dal”. The Dal was assigned the NATO reporting name SA-5 “Griffon” before it was canceled. Each missile is launched by 4 solid-fueled strap-on rocket boosters. After they burn out and drop away (between 3 and 5.1 seconds from launch) it fires a 5D67 liquid-fueled sustainer rocket engine (for 51–150 seconds) which burns a fuel called TG-02 Samin (50% xylidine and 50% triethylamine), oxidized by an agent called AK-27P Melange (red fuming nitric acid enriched with nitrogen oxides, phosphoric acid and hydrofluoric acid). The maximum range of the system is somewhere between 150 km (81 nmi) and 300 km (160 nmi), depending on the variant. The missile uses radio illumination mid-course correction to fly towards the target with a terminal semi-active radar homing phase. Maximum target speed is around Mach 4. Effective altitude is 300 m (980 ft) to 20,000 m (66,000 ft) for early models and up to 35,000 m (115,000 ft) for later models. The warhead is either 217 kg (478 lb) high-explosive fragmentation (16,000 × 2 g fragmentation pellets and 21,000 × 3.5 g pellets) triggered by radar proximity fuse or command signal or a 25 kt nuclear warhead triggered by command signal only. 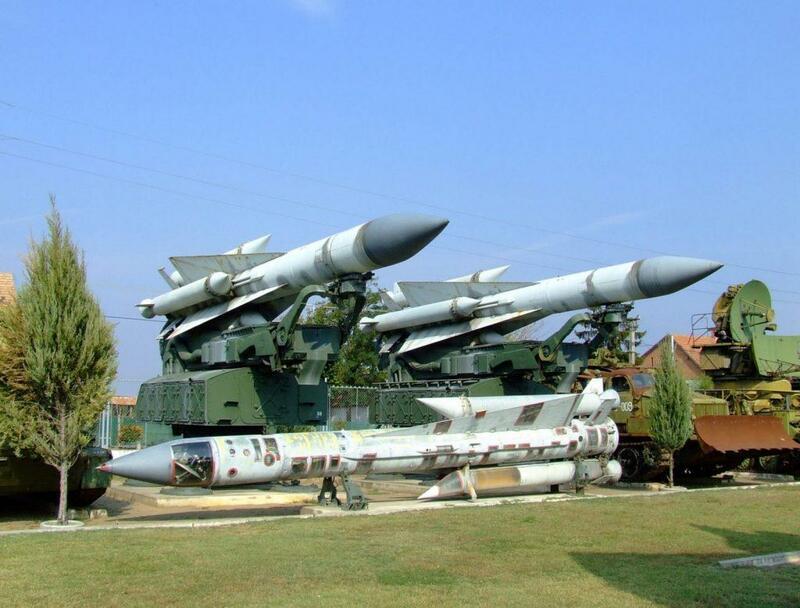 Each missile weighs around 7,108 kg (15,670 lb) at takeoff. The system utilizes radio semi-active guidance throughout the missile’s flight, which is far more accurate at long range than the command guidance method used by the earlier S-75 Dvina and other missiles. The existence of an optional terminal passive radar homing mode for use against AEW aircraft remains unconfirmed. Peak missile speed is around Mach 8 and the single-shot kill probability is quoted as 0.85, presumably against a high altitude bomber-type target.